View of “Steven Claydon,” 2012. 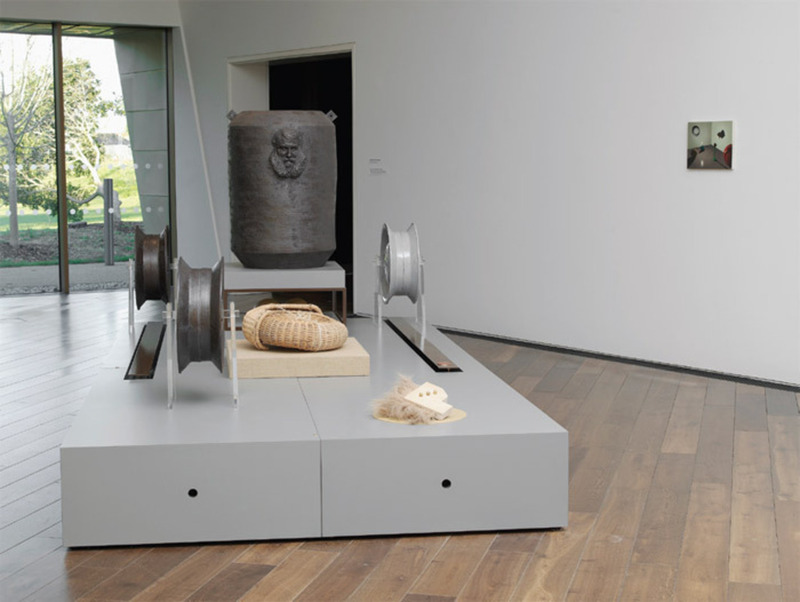 British artist Steven Claydon’s comprehensive solo show “Culpable Earth” invests the artist’s interests in tradition and ethnography with a contemporary approach to museum display. The exhibition, his first major solo show in the UK, reads as a contemporary retelling of a forgotten or unknown history. It is one filled with bearded men, ambiguous pseudomachinery, and quizzical artifacts.